Moving to Bar Manager: Do You Have What it Takes? 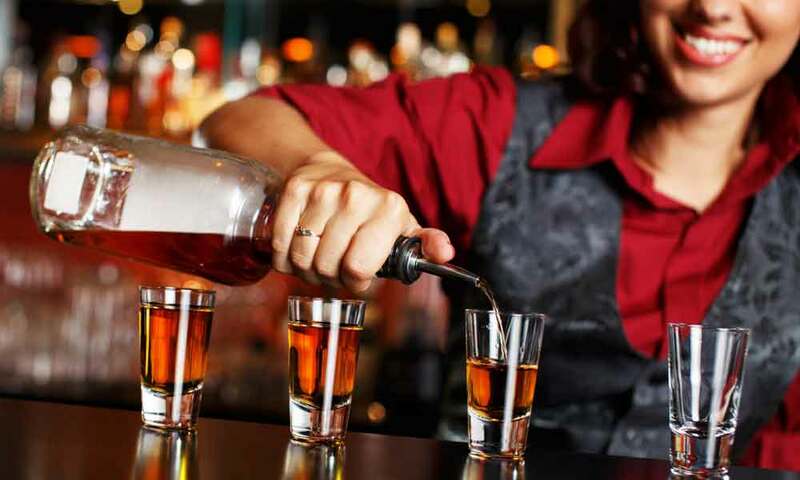 Home » Blog » Moving to Bar Manager: Do You Have What it Takes? people tackle the hiring process. Moving from a position that involves bartending to being a bar manager takes time and also a lot of effort. Sometimes, finding ways to improve yourself and being passionate about your profession is sometimes all you need to be promoted to a management position that you always wanted. However, a bar manager needs to know a lot of things in order to be one of the best. They need to control everything, understand business principles, and be intimately aware of all the products that are served in that specific bar. This is no easy task, which is why, in this article, we will be discussing how you can move into a bar manager position and see if you have what it takes to do so successfully. As with any other profession, there are some important traits that can make a bartender the ideal candidate to become a bar manager. A bartender needs to go through a lot of trials before being promoted, and the steps are not that easy. You need dedication, long working hours, staying in the bar for longer than you should, helping newer bartenders, and asking for advice left and right. It can even take years before someone finally notices you but if you are patient, someone important definitely will. Still, you cannot be a bar manager from your first day on the job, so you need to start somewhere. Usually, by becoming a bartender and being good at it. Then, everything else will follow. Here are some of the most important traits that a person needs to have in order to become a bar manager. Analyze them and then analyze yourself. Do you have what it takes? If you do, you’re on the right path. If not, you need to work more and put a lot of effort into making your dream reality. This is crucial if you want to make it big in this industry or in any other one. You always need to prove that you want to grow, both professionally and personally. You won’t get anywhere without ambition, and if you are careful to show people around you that you truly want to become more, you’ll certainly be promoted at one point. A bar manager position is a very important one and can decide whether or not the business will grow or fail. No matter the struggles, you need to remind yourself that what you’re doing is worth it and that better days are ahead. Accountability is an essential trait if you want to become a bar manager. It’s important to admit when you’re wrong and try to correct that mistake as much as possible. Come up with solutions and try to help the others. It’s very important to show people that you know you made a mistake and that you want to avoid making it in the future. Nobody is perfect, but you must be willing to accept criticism and move forward. Never become famous in your workplace for being a bully and tormenting others! The most valuable people, and those who will eventually be promoted to a bar manager position never engage in problematic behavior. Be respectful with everyone around you and don’t encourage sexism in the workplace! However, don’t let others bully you either. Report inappropriate behavior immediately and make sure that they’re being taken care of. Be a helpful and decent human being! This is probably the most important trait that any person should have, not only someone who wants to become a bar manager. Always help the people around you and never talk behind your colleagues’ backs. Making your superiors trust you is key to being promoted quickly. Be an overall good person and treat everyone with compassion and kindness. It’s also very important to make the people around you feel comfortable so that your shifts goes well. Working in a friendly environment will always bring more employee satisfaction. What Should a Bar Manager be Like? Let’s say that you succeed in becoming a bar manager. Now what? Firstly, it’s important for you, as a new bar manager, to be trustworthy and prove that to your superiors. You should make sure that your in sync with owners’ vision about the business’ goals while also being transparent with them and reporting everything that doesn’t work well. However, you also need to learn how to trust your superiors and execute the orders you’ve been given without second thoughts. That doesn’t mean you should always trust them blindly, but pick your battles. A bar manager should also always be flexible when it comes to certain decisions. Ask your team what they think and try to find solutions together. This will foster trust and respect with the team and will create a more pleasant working environment. You can also take all the responsibility on your shoulders, but then you might become irritated with everything you have to do and take it out on your team. This is never good news and if they complain to your superiors, things can get ugly quickly. Last but not least, as a bar manager, you need to take part in the daily activities happening at the bar and be willing to do so. Don’t bark orders to the other people while you’re doing nothing. Help them out and be supportive. Teamwork is essential, so make sure that your team trusts you and will follow your recommendations. As a bar manager, you can also build your own team and watch them grow. It is truly a fascinating process and those people will certainly thank you later. All in all, it may take a lot of hard work, time, effort, and dedication to reach the career level that you want, especially when it comes to becoming a bar manager but, in the end, it will all be worth it. You may need a bit of luck and for the right person to notice you at the right time, but beyond that, it’s all about hard work and passion. Being aware of the person you are and putting yourself in a good light will always offer you the results you want. Moving from a bartender position to a bar manager one is no easy task, but it’s certainly a rewarding one. Having your team around and working together to accomplish a common goal is usually the boost you need to achieve greatness. Don’t be disappointed if this evolution doesn’t come easily or quickly. It can take years for you to reach a level that’s good enough for a bar manager. Until that time comes, be prepared to work as hard as you can. Do you Want to Become a Professional Bartender? Check out our official bartender’s Guide ‘The Bartender’s Field Manual’ to learn how. 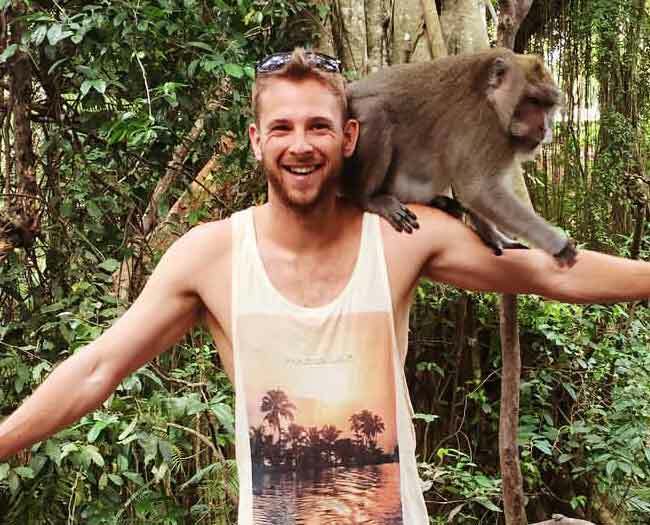 I’m Tom Blake, pro bartender, bar manager, avid traveller, author of ‘The Bartender’s Field Manual’ (our official bartender’s guide) and founder of the Crafty Bartending website. I’m determined to help you become a better bartender and live the bartending dream – whatever that may be. So stick around, read our guides, and check out the recipes, there’s a lot to learn so you might as well start now ;-). We only send really good stuff occassionally. Promise. MATERIAL CONNECTION DISCLOSURE: You should assume that this website has an affiliate relationship and/or another material connection to the persons or businesses mentioned in or linked to from this page and may receive commissions from purchases you make on subsequent web sites. You should not rely solely on information contained in this email to evaluate the product or service being endorsed. Always exercise due diligence before purchasing any product or service.